Cesc Fabregas is looking forward to starting a new chapter in his career after agreeing to move from Chelsea to Monaco. The 31-year-old Spanish midfielder has signed a three-and-a-half-year deal with Thierry Henry's struggling Ligue 1 team. Fabregas, who played 501 times for Chelsea and Arsenal, moved to Stamford Bridge for a second spell from Barcelona in 2014. "It is a great pleasure to join AS Monaco, a new project for me," said Fabregas. "The group is of quality with young players and a young coach. "I'm here to help the team, I'm looking forward to starting. We have a great match to play in Marseille on Sunday. I am very excited." Monaco can be backed at 29/10 to beat Marseille and 11/1 to win the match 1-0. 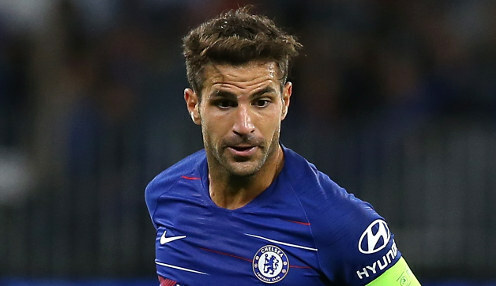 The French club's vice-president Vadim Vasilyev said: "We are very pleased to welcome to AS Monaco Cesc Fabregas, a world-class player and a great professional, whose arrival demonstrates the ambition of the club. "This is obviously a very good technical reinforcement for the team but we are convinced that his experience at the highest level will bring a lot to our players on and off the field." Monaco are second from bottom in Ligue 1 and five points away from safety after winning only three of their first 18 matches.